Commonly presented as a necessary requirement for the progress of science in general and biomedical research in particular, animal research is a field of activities that includes vivisection (operating on live animals, the discipline which took off with Claude Bernard in the middle of the 19th century), invasive procedures (injections, inoculation with products, fitting of prostheses…), but also behavioural tests which, if they do not necessarily involve impairment of the physical integrity of the animal, may deeply, and even permanently alter its behaviour. Its purpose is to evaluate the efficacy and toxicity to humans of medicines, cosmetics, food, industrial materials, nano-particles, weapons…, but also to develop surgical techniques for example. Other experiments, for example, include assessing pain (the hotplate test) or measuring stress (the forced swimming test), to let an animal circulate in a maze, to change his perceptual environment, etc. When the animal does not die as a direct result of the experiment itself, it is almost always killed at the end of the protocol and cremated as “organic waste”. 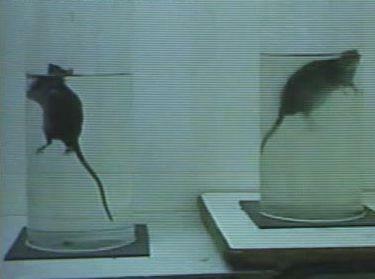 It is important to note that the law makes it mandatory to test drugs for humans on at least two species of mammals. In secondary education (life sciences, medicine…), dissection is the autopsy of a dead animal (killed for the occasion) to study its organs. 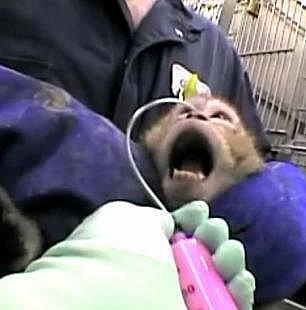 In higher education live animals are used for practical work which includes potentially invasive experiments, at the end of which they are killed.